Italy has crossed “a diplomatic red line,” said Le Monde (France) in an editorial. Deputy Prime Minister Luigi Di Maio—leader of Italy’s populist Five Star Movement, a partner in the coalition government—ventured to France last week to secretly meet with representatives of the Yellow Vest movement. The anti-government Yellow Vests have been staging riot-like demonstrations across France for almost three months, burning cars and battling police, and one of their leaders, Christophe Chalençon, has openly called for the army to seize power and overthrow President Emmanuel Macron. 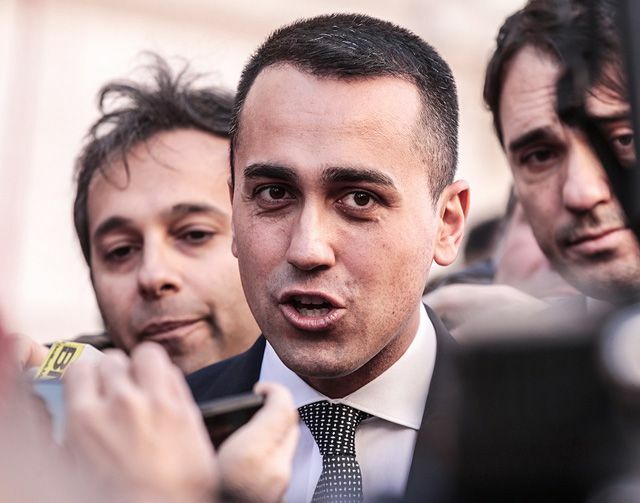 Yet Di Maio met with Chalençon and candidates the protest group has put forward for the European elections in May, and then extolled their merits in a Facebook post. “The wind of change has crossed the Alps,” Di Maio wrote. France had no choice but to take the drastic step of recalling its ambassador from Rome—something that last occurred in 1940, when Fascist Italy entered World War II. France started it, said Marco Gervasoni in Il Messaggero (Italy). Macron has been anti-Italian since he took office. He has frequently made “hostile statements” against the other major party in Italy’s coalition government, the anti-immigrant League, and especially its leader, Deputy Prime Minister Matteo Salvini. And while the previous French government had agreed to allow an Italian company, Fincantieri, to buy a majority stake in France’s largest shipyard at Saint-Nazaire, in 2017 Macron reneged on the $90 million deal and temporarily nationalized the shipyard instead. Italy has also been irritated by some of France’s other actions, such as its meddling in Libya, which has worsened the migrant crisis in the Mediterranean. This is the fault line running through Europe, said Jonathan Bouchet-Petersen in Libération (France). Macron and the forces of progressivism and cooperation are on one side. Salvini and Di Maio are on the other, with the angry populists and the xenophobic right-wingers. These disruptors seek scapegoats, targeting “sometimes the immigrant, sometimes Brussels, and sometimes Macron.” They may use nationalist rhetoric, like Hungary’s authoritarian Prime Minister Viktor Orban, but their project is continental in scale. With some assistance from Moscow and Steve Bannon, the former Trump adviser who has set up a European training school for populists, these forces want to destabilize the entire EU. The stakes could not be higher.